Today I'll address some constraints inherent to recording in a home studio. Being aware of these issues will allow you to prevent them more easily to avoid any unwanted noises making their way into your takes. 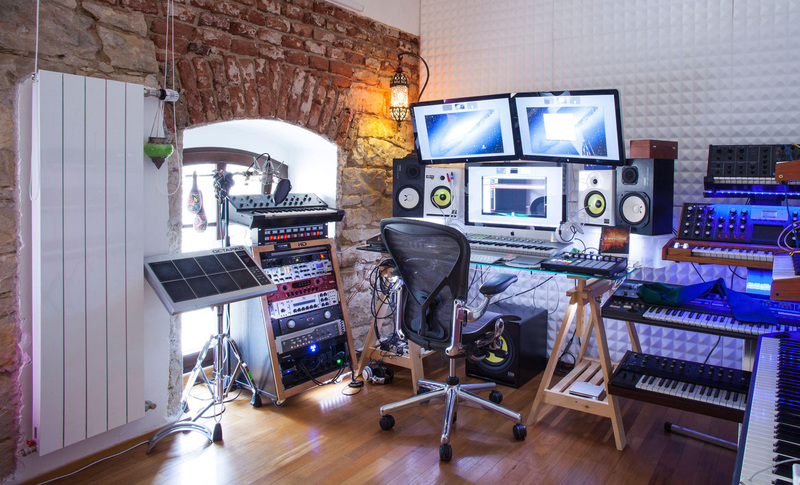 "Home studio" is made up of two words: "studio" and, most importantly, "home." The possibility you have nowadays to record decently in your own home is certainly a matter of joy to anybody who's into audio. However this situation usually entails some limitations absent in professional facilities. The first one has to do with the neighbors. If you say recording you say sound at more or less high volumes. 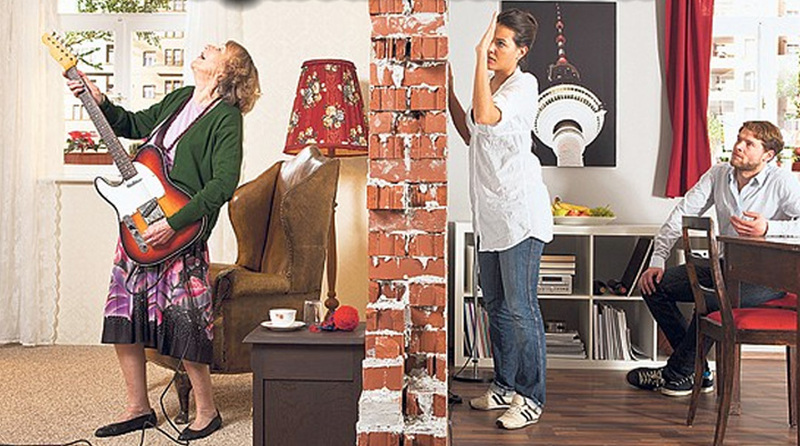 This may result in an annoyance to your closest neighbors. So, in my opinion, you should try to avoid such annoyances, out of politeness, at least. If this doesn't convince you because you're not really the "polite type," don't forget your neighbors can also be a source of "sound pollution" for you! If you don't take any steps to prevent this you risk being interrupted by someone knocking at your door right in the middle of a session when the musician is giving his best performance ever. The result? A ruined take, a tense environment and a less than optimal relation with your neighbors, not to mention the difficulty to resume the session without producing another conflict. That may seem dead easy, but don't forget that while you are trying to record the persons living next door are trying to mind their own business. This entails noises that are otherwise pretty common, but which can turn out to be a real drag when you are trying to record something. Just imagine the neighbor upstairs using the vacuum cleaner or the one next door using the washing machine, etc. Doesn't sound like much fun, does it? So talk to them to try to find the best moment for your sessions, in order to guarantee your and their comfort. I for, instance, had a nice little chat with my three neighbors to prep for this series and see how much leeway I would have. My neighbors upstairs aren't home throughout the entire week during working hours, but their kids are home after school. My neighbor next door is a student, but has classes only Monday through Thursday from 8am to 4pm, and spends the weekends with her family. Finally, the neighbors on the last floor are silent as can be and deafer than a stone, according to them. As for myself, I can't do anything before 9am and my godchild comes over on Thursdays around 3pm. This means that the best days to set up a recording session without bothering anybody or being bothered is Monday and Tuesday from 9am to 4pm and Thursdays from 9am and 3pm. Knowing all this allows me to plan ahead my recording sessions in all calm. Furniture — Cracking, squeaking and grinding noises of your workspace, the floor, etc. 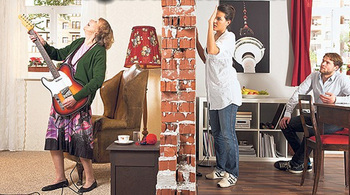 Pipes — Toilet flushing noise from your neighbors can be a true headache. The best way to find out what kind of noises you will be exposed to is to have a "test" recording session. By this I mean a session taking place during what would be the normal working hours at your home studio to record the "silence" in it in order to try to identify the source of any noise captured. Once you've identified this menaces, you only need to think of the measures to adopt to be able to carry out quality recordings. And that's it for today. But before I go I must confess that I had a hard time writing this article. 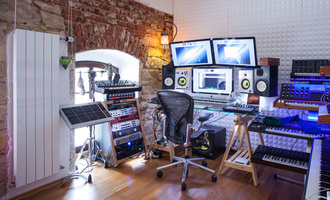 For several years now, I've using my "home studio" for editing and pre-production purposes only. So going back to my beginnings recording at home for this series was a bit painful. But in the end it paid off and I was surprised by the quality I was able to get thanks to this sort of precautions.